Hurray! 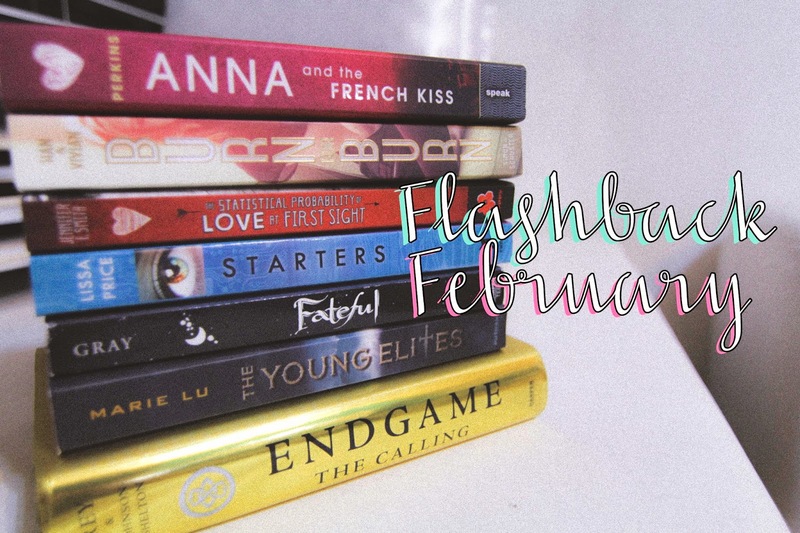 We made it (rather, I made it) to day thuuureeee of #FlashbackFebruary! (why does everything have to be hashtagged nowadays?) I'm kind of groggy as I'm typing this so bear with me. Don't worry though, there's not much of a difference compared to when I've had a full 6-hour sleep. Say, when did 8 hours stop being the normal length? October 18th of last year (it's crazy how time flies! 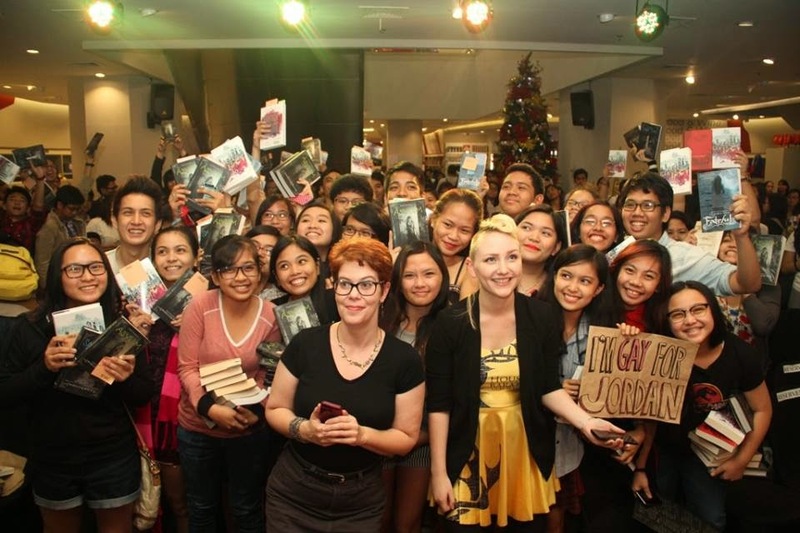 ), National Bookstore brought Claudia Gray and Madeleine Roux to Manila for a book signing day at Glorietta 1. I swear, they sure spoiled us last year! I got the opportunity to meet Claudia Gray -- the woman responsible for making me cry when I thought there weren't any physical copies of her book anymore at the store. (Backstory: I read the eARC of A Thousand Pieces of You and went absolutely gaga over it. When it came to the book signing, I was told there were no more copies of it. I cried... a bit... SERIOUSLY just a bit. Like, it didn't even roll down my cheek. I looked like this though. But as it turns out -- there were still copies in the backroom and I quickly felt like a huge dork for loosing mah cool like that. As if I had any cool to begin with.) And of course, I was also excited to meet Madeleine Roux. She just looks super badass -- with her do and her books? Hellz yeah. A side story: Madeleine was wearing a yellow House Baratheon shirt-dress that day. I think I love her. Here were are again with yet another Q&A! I actually arrived 20 minutes late this day! So while the other bloggers in attendance have 40-minute recordings posted on their blogs, I only have 19 minutes and 55 seconds of Q&A to share with you all but I promise, they're worth the read. And don't forget! Giveaway at the end of the post! If you were born sometime in the 19th century, or earlier, and were suddenly transported to the 21st century. What would be the first thing you would want to understand or learn about? Claudia: It would depend on where I was born exactly. Because if I'm from the Roman Empire, I'm gonna have a really different set of questions than if I'm from like 1888. I'm sorry, you just reminded me of something I saw years ago. It was a comedy of list of like things Abraham Lincoln would say if he were alive today. And they were all sort of these wise sayings, sort of this and that... tweets for the modern era. And then one of them was: Ahh! Iron bird! 'Cause, you know, he wouldn't know what an airplane was! He would freak out! And so I might just be going, what are the iron birds? I don't know... I think probably, one thing that is probably pretty consistent from virtually any time of the past except maybe sort of pre-history is I would be pretty excited at how far women have come. And also wondering why we have not come even farther, probably. Although for most eras in the past I would be really thrilled and impressed with what's happening now. Madeleine: Pants! Pants on women! Claudia: Well, you know, plenty of places did have pants or the men also wore skirt-y things. I mean in the 1880's everyone had a corset and a bustle, I'd be like, pants! Or if I were from the Roman Empire, I'd be like, you know, a stola is a very comfortable and flattering garnment and I don't understand why we gave that up. So a lot of that would depend I think, unfortunately, like for me probably no matter when I was from it would be just like when I did first encounter the internet back in the 1990's. Like, oooh! Ooooh! And then I looked up and it was 11 hours late and the sun's set. And I haven't eaten. So yeah, I would probably be pretty nerdy no matter what. But yeah, I think seeing how far women have come would be the one constant that I would always really notice and want to know about first. What is the hardest part of being a writer that most people don't know about? Madeleine: I think there's kind of two I would say. One is you don't know how much other junk you end up having to do all the time. I mean not junk! Like, it's important but you don't realize when you're dreaming of becoming a published author that like, ohh I really hope I have to write a zillion blog posts and write quizzes and you know, like, all this other stuff that you just never really signed up for. But it's really important because obviously you want to stay in touch with fans and it's really gratifying when it pays off and you actually get people reading the book. But it's just something you never realize comes with the job. You never realize how much social media stuff you're gonna end up doing everyday. 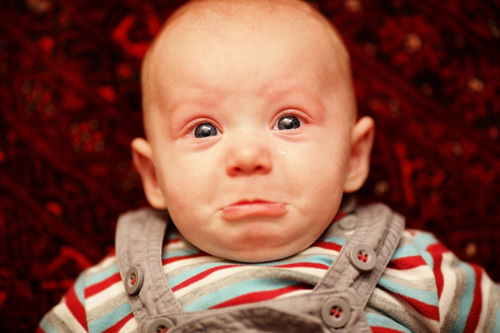 If I take a day off from Twitter I feel like a terrible person! Because it's like, ahhh! All these questions piling up! People are saying 'hello' and talking about my books, so while it's really fun some days, other days, you're like, I just want to write. I just want to focus on the book. I wish I didn't have to do all this other stuff. But then with this, it actually ends up being a lot of fun. So it's one of the things you never realize comes with the job until it lands in your lap. The other I would say is how guilty you feel when you're not working. Like, I will have written three full books this year. So that's a lot but even when I'm like... take a day and just do nothing, I feel so guilty. Like I feel I should be writing something new or editing something or revising something because it's not just a 9 to 5 job. It's kind of with you all the time. So you're constantly worrying about it. You're constantly thinking about what your working on or what's in editing or revision. So that's kind of tough. It's just like... it's kind of a personal job. You never kind of leave it. You never clock out and just go home and turn your brain off completely. So that's what I would say is the other ... sort of thing I didn't know would be coming, and the thing that is probably worse in a lot of ways because doing a blog, whatever, is not that big of a deal. But kind of feeling guilty all the time when you're not at your desk working can be kind of tough. What do you think is the future of young adult fiction? Madeleine: I want to say like, what I'm writing next. Madeleine: That's really tough! I think we're gonna see a lot, we were talking about this yesterday, but a lot more blending of genres. So a lot less straight up fantasy, a lot less straight up sci-fi. You're gonna see a lot of vampires in space with unicorns. But you know, like, whatever! Claudia: You weren't suppose to mention my next book! Madeleine: I'm sorry! But yeah I think, just in general, sort of a real blend-- 'cause it's one of the few YA genres... you can get away with it. Whereas in a lot of adult fiction it's like no, you must follow the rules! You must be sci-fi. Or you must be this. So I think that will continue. I hope we continue to see more diversity so that we constantly get more protagonists you wouldn't expect. And as much as I enjoy having a lot of white girls as my heroes, I think it'd be nice to have a break from that and, you know, see a lot more diversity come in. And that starting! That's happening. But I think it's important to encourage that. Claudia: Yeah, I would agree on the diversity front. I think many many people are aware of this and I think so many more people had sort of wised up to the weirdness of the idea of white upper-middle class American as default. The second part is like super incredibly phenomenally unbelievably rich white person is like the second most common hero for anything. And I think the people are starting to jump on that a little bit more which is just really nice. And I think we're sort of entering into... in another year or so it's gonna be sort of like a decade past Twilight. I think really the future of young adult is gonna be fewer people going like what is this crazy fad in trend. It's like when you see old news reels or news things like, what is this rock and roll the teenagers listen to? How long will it last? You see these people doing twist and you know, this sinful dance cannot last forever! Or things like that. Okay, so, I'm a big Beatles fan as you may know, and there are all these videos of Paul McCartney from 1963 saying, he's like, well you know this can only last a couple of years. And as much fun as it is, I'm looking forward to just walking down to the store and just getting some chips. And you're like, oh Paul McCartney, you never got those chips, did you? You know? Never happened. So I think there's gonna be a little less of what is this thing that people are doing? And I think young adult is gonna become more just an accepted area of it. And I think with that is gonna come a little bit less of sort of the flavor of the month pressure -- where you're either writing the thing that's really really popular right now and then they're sort of like, why did you do that? Or you're writing the thing that isn't really popular right now and people are like, well why aren't you writing that? I think there's gonna be less of this is the thing and I think it'll come as more established and more... you know, there will always be Gothic paranormal fic. I've always joked that vampires are the little black dress of the supernatural. They can be a metaphor for anything, really, if you just write them correctly. There's always gonna be realistic fiction. There's always gonna be really gritty fiction. There's gonna be horror. There's gonna be sci-fi in young adult. I think there's gonna be less pressure to try to fit in the mold as this category, young adult, just becomes more established and more accepted. You've written a lot of books under a lot of different genres. Do you have any plans in the future to write a book that falls under another genre? Claudia: Actually, most of the stuff that I am thinking about, I'm not sure anything I can talk about right now, I'm sorry... but I just finished the draft of the sequel to A Thousand Pieces of You so I've been busy. Next year there will be things, I promise. I really love science fiction a lot. I'm hoping to write more in that vein. I don't think I'm done writing paranormal stuff any time soon. So not in the immediate future. Right now, I really like playing with these ideas. But I would never say never to virtually anything. I guess I don't see myself doing a teen western any time soon. Madeleine: I'd love to do a teen western. Claudia: Then it's all yours. You take it. You run with it. But um... short of that, I think anything could happen in the long-term. The short-term I'd probably sticking closest to sci-fi. What sparked your interest in reading? And then after, when did you realize I wanted to write something like this or even better or bigger? Madeleine: I... that's really hard. I can't even remember when I started getting into reading because I feel like I've always been so into it. I can't pinpoint a year or a moment. I know, from a very young age, my mom was always very... I think I started with American Girl doll books 'cause I always had like companion books with them. So I remember reading those and being like, these are much too short. Where's the rest? I need more, now now now. So she was like, Oh... oh God, we better find a lot more of these books and throw them at her. It was like everything. I would steal my brother's books, reading things that were way too old for me, I should not have been reading yet. But just always wanted to read so badly. I'd read... and it's like non-fiction I would find in the house. I would read the encyclopedias in the house. And then I sort of found Jane Austen and that was something that really ignited the passion for reading. Same with Shakespeare and then Anne Rice was a big one in my teen years. And I also got into Tolkien when I was a teenager. And Harry Potter... which is like, everybody. Yeah, so it was always kind of a thing. And then when I got to college and I was doing the creative writing program that I was in, so much of it was like, yeah we're not gonna let you write a damn thing, you're gonna start with reading all these books -- which is great because I feel like you need all that foundation but you know, creative writing 101 wasn't me writing things. It was me reading other really good authors and sort of trying take those books apart and see why they were good, why did they work, what's going on here, how are they able to do this and sort of get this emotional response from somebody? And so that was kind of it for years. I took so many literature classes. And I had crates of books I had to read. But they were all really good in one way or another. And they all teach you something different about what makes a good book and what makes a good writer. I think... I don't know. I was writing a project when I was about to be done with college. It was a historical medieval piece. I finished it -- it was a full length novel -- but I was so tired of researching everything I put down. I was like, did they have this spice? Could she drink this kind of tea, this time of day? Ahhh!!! I just want to write something without stopping every ten seconds to check, you know? So I started writing a zombie survival book for fun. I had so much more fun. I was so much more invested in that. You could see it. Like, yes this one is scholarly. But the zombie one is way better because I was enjoying myself and I was having fun with it. And I think that was the moment I was like, oh! This isn't supposed to be torture! *laughs* Like, you're supposed to sit down, I mean, not everyday, it's not gonna be like yes! but most days it should feel like I'm excited to come to my desk, I get started. And that was the moment where I was like, oh, I could do this as a job 'cause I really like it and it could be really fun. It doesn't just have to be this constant research... lost in the depths of the library, trying to find your way out kind of thing. I think that would be it -- when the moment I was like, oh right! So I'm way better at this when I'm actually enjoying myself. Okay, I can do that. Claudia: ... oh yeah, oh yeah. The Third Birds, which is this whole -- are you guys familiar with that at all? It's this whole big 1880's soap opera... early 1900's soap opera in Australia. It's about the love affair with this girl -- and it goes on for decades and decades. They meet when she was a young girl and he's a new priest. It's basically what vampires were to the last decade to priests were to the 1980's. They wore black, you're not supposed to sleep with them... you know. There's crucifixes around, the whole thing! So yes, I was reading that and going wooahh. So yeah, always, always, always loved reading. And I always knew that I would want to write. I always knew that I would enjoy writing. I actually kept a diary for a really scary number of years, starting when I was very small. And about eight or nine, there was this whole entry about how I watched Superman the movie on HBO and I was like, I keep trying to think of sequels in my head and I put all these other things that could happen to Superman and Lois Lane. It was a lot of fun but I knew immediately that I couldn't stop imagining plots and stories, and I got very engaged with it. I never really seriously considered trying to be a novelist professionally. And looking back I think a lot of it was just lack of self-confidence. Because nobody says, I think that is a really great career plan you have there, writing novels. I think you are definitely destined for riches and there is no way that you will wind up living in a box somewhere. But it seemed that nobody was ever... 'cause a lot of people are very dismissive of younger people's creative plans or hopes. My parents were never like that, my teachers were never like that. But I didn't have the faith in myself. But I always wrote so much fanfiction. I cannot even tell you how much fanfiction is out there. I still write it to this day. And that was a lot of fun and did a lot of things. The first time I had a novel-length idea, it was fanfiction. This was a big enough fandom that I can say it wasn't Buffy the Vampire Slayer. It was like, BAM! I was on this long car trip and there was nothing for me to do but think for 7 hours as I was driving. And just the plot fell into shape and before that I had just never any idea about how you would get -- how would you think of an entire book, an entire novel? How much story do you need for that? And all of a sudden it was like, bam! There it was. And for the rest of my life, I knew, I would always know this is what that's gonna feel like. This is kind of the heft of that kind of story that you're gonna need. And writing that was huge education for me. Learning so much about how I would do things. It wasn't like how a professional novel would be but it was a big step forward for me. And I would be very honest. This wasn't when I tried to begin writing professionally. It was the first moment I knew it could happen. I published it over the course of a week. A few chapters, a few chapters, a few chapters. And when I published the last chapter, I posted and I left to go see some friends in another city. And I drove for about three hours, I met up with them, we ate, went to my friends how where we could spend the night, and went to check my email. I had 500 emails that were responses to that story. And I was like, what the what!!! It just never occurred to me that that could happen! And I was like, woah! And that was sort of the first moment of like, well if I could do that maybe I could do this. It was still gonna be a good five years before I kinda gotten my act together after that and started really trying to write seriously. But that was the first moment when a) I knew I could write something that was 90,000 words long and kind of have that plot and that somewhere out there people would respond to it possibly, although you need more than 500 with the original stuff. I'm giving away one SIGNED copy of Fateful by Claudia Gray to one entrant residing in the Philippines. (If you're abroad and know someone who lives here and is willing to take your book for you, go right ahead!) I will notify the winner via email and Twitter/Facebook. The winner will have 48 hours to respond before a new winner is chosen.